I am not a big fan of breakfast, aside from my coffee I will either have a piece of toast or if I'm really hungry, a sandwich, but that's it. One thing I do love is Cinnamon Raisin bread, toasted and slathered with butter. I don't have it very often, mainly because it's so expensive at the store, and I always forget how easy it is to make a loaf at home. 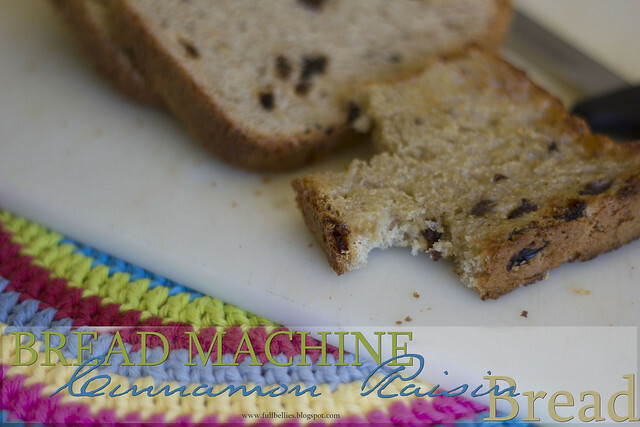 After my husband got me a new bread maker to replace the one that broke last year, I've been using it almost daily to make fresh bread, so last night I decided to try the Cinnamon Raisin Bread. It turned out amazing and tastes fantastic. I just had some toasted with the butter slathered on and it was honestly one of the best breakfasts I've had in a while. The recipe comes from Betty Crocker and is very easy to make....and cheaper too than buying it.